The centerpiece of the 'Winter Wonderland' at the Bellagio Conservatory and Botanical Gardens in Las Vegas, Nevada, is a majestic 45-foot Christmas tree of white fir, imported from Mt. Shasta, California. The tree is decorated with 7,000 LED lights and 2,500 ornaments. 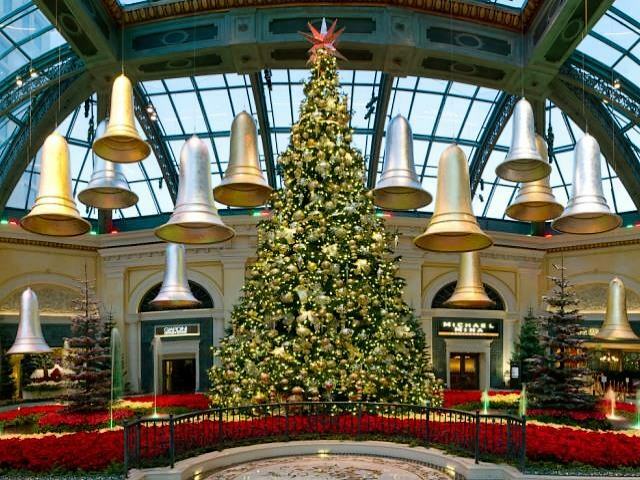 The visit of the Bellagio’s Conservatory and Botanical Gardens is one of the 'best free things' to do in Las Vegas.